Urgent call for help, from Frack Free Kapiti and Climate Justice Taranaki. 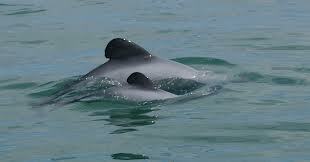 Oil and gas industry development must stop in our Blue Whale and Maui’s Dolphin neighbourhoods. wells from its Maari platform between Farewell Spit and South Taranaki. processed oil resources will go direct to overseas markets, not ours. The deadline for submissions is Tuesday, 29 July at 5 pm. site times out after half an hour. CJT’s full submission will also be available on the website soon.